The 2010 Department of Defense Appropriations Bill passed by the Senate included an earmark of $4,160,00 for fixed belly tanks for National Guard Blackhawk helicopters. 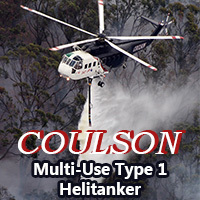 It was referred to as the Recoil UH-60 Blackhawk Helicopter R60 Wildland Fire-Fighting Tank System. When we covered that on October 7, 2009 at Wildfire Today that is all we knew about the project. But a little more information has emerged. It appears that the tank in these photos may be what was funded in the legislation passed by the Senate. The photos are from the web site of SHG, a company in Israel that deals in fire suppression equipment. 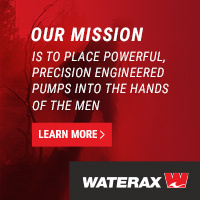 They represent the manufacturer of the tanks, Recoil Suppression Systems, in Merlin, Oregon. SHG also represents Caylym, the outfit that is trying to sell the boxes that when filled with water or retardant would be dumped out of the back of a C-130 or other cargo plane, hopefully slowing the spread of a wildfire. A circular-framed retractable suppressant tank that attaches to the airframe at the cargo hook point. The electric operating mechanism is located within the helicopter itself, to operate by crew members. In addition, the system has a security mechanism for a rapid emptying in case of an emergency. 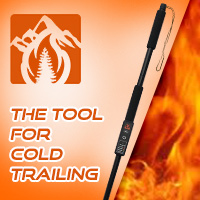 The system is approved for use in urban areas. The tank volume is 3,800 liters [1,000 US gallons], and can contain all kinds of water – fresh, brackish and salty water. Messages we left with Recoil Suppression Systems asking for information were not immediately returned, and we were not able to find a web site for the company. Dunn and Bradstreet says the company has annual sales of $950,000 and has 17 employees. But we have no confirmation that any of the tanks were ever produced and sold. At least one other company is working on a Blackhawk belly tank, Simplex. The video above was produced by the Missoulian when Tanker 910, a DC-10, visited Missoula on April 24. 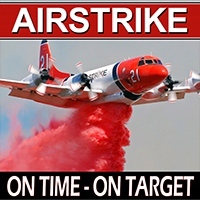 It features Captain Jack Maxey describing the features of the huge air tanker which carries 11,600 gallons of retardant. The aircraft also stopped by Brainerd, MN, Rapid City, SD, and Billings, MT, taking the scenic route while ferrying back home to southern California following a C-check in Michigan. Photos of the Tanker taken during the Rapid City visit are over at Wildfire Today. The three-person congressional delegation from South Dakota sent a letter to the Chief of the U.S. Forest Service on April 16 encouraging Chief Tidwell to acquire military surplus C-27J aircraft to be converted into air tankers. The Defense Department may be getting rid of all of their C-27Js, and legislation has given the Secretary of Agriculture the first right of refusal if that occurs. At least three other Senators have been pushing for this since last July. This newest letter was signed by Senator John Thune, Senator Tim Johnson, and Representative Kristi Noem. In spite of the fact that their letter shows a lack of understanding of how air tankers are managed in the federal government, they offered some advice, suggesting that “one or two” of the C-27Js be stationed at Ellsworth Air Force base in Rapid City, South Dakota. 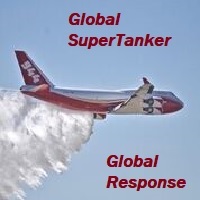 The Senators and the Congresswoman failed in their letter to indicate that they would introduce legislation to appropriate dollars to maintain and operate the aircraft or supply funding to convert them into air tankers, which would require many millions of dollars. Talk and letter writing is very easy to do. Using their powers as elected officials representing taxpayers to actually facilitate change on this matter is something that they have not done, and can’t delegate to the intern that may have written the letter. The C-27J is an interesting aircraft and appears to be a baby brother of the C-130J. It uses two of the same turbo-prop engines as the C-130, which has four of the 4,640 hp Rolls-Royce engines. If converted into an air tanker, at only five years old they would be by far the youngest large air tankers being used in the United States. The P2Vs that currently comprise most of the large air tanker fleet on exclusive use contracts are over 50 years old. Even Tanker 40 (N146FF), the recently acquired jet-powered BAe-146 operated by Neptune, is 27 years old. On 23 March 2012, the U.S. Air Force announced that it will cut the C-27J from its inventory in fiscal year 2013 after determining that its per-aircraft lifecycle costs are higher than those of C-130 aircraft performing the same combat resupply mission. It is difficult to estimate how many gallons of retardant a C-27J could hold, but it could be between 1,800 and 2,300. This compares to an average of 1,948 for a P2V, a little less than 3,000 for a BAe-146, and 11,600 for a DC-10. Pilots and firefighters at Fort Carson near Colorado Springs conducted training earlier this month with the goal of becoming qualified to use CH-47 helicopters to drop water on wildfires. Below is an article provided by the Fort Carson Public Affairs Office. 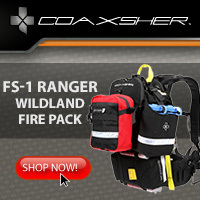 FORT CARSON, Colo. – Splish splash — Colorado Springs wildfires could be getting a bath. Pilots of the 4th Combat Aviation Brigade, 4th Infantry Division, were conducting Bambi Bucket training on Fort Carson, April 4. 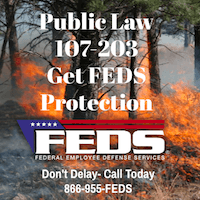 “We are currently discussing protocols with Colorado Springs firefighting agencies to better facilitate our mission to best fit their needs,” said Pearl. Fort Carson and the 4th Inf. Div. can only deploy military resources to support firefighting efforts when requested by the National Interagency Fire Center and approved by the Secretary of Defense. At that point, Fort Carson’s support would be coordinated through U.S. Northern Command, located at Peterson Air Force Base. NIFC can only request Department of Defense support after all other local, state and federal resources have been exhausted. The photo above, a screen grab from ABC7, shows Tanker 71, an S2T, dropping on the Madison Fire in Monrovia, California, east of Los Angeles, at 5:40 p.m. PT, April 20, 2013. More information about the Madison Fire. Over at Wildfire Today there is an article about plans for one of the DC-10 Very Large Air Tankers to visit airports in Minnesota, South Dakota, and Montana next week. After it was first proposed on March 15 by two Colorado state lawmakers, the state continues to pursue the goal of acquiring a fleet of air tankers. Senate Bill 245 introduced by Senators Steve King and Cheri Jahn passed the Senate Agriculture Committee on Thursday on a 5-0 vote, and the next step is in the Appropriations Committee. That seven-member committee will decide if they want to fund the concept. 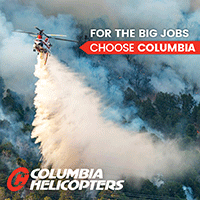 Purchase, acquire, lease or contract for the provision of firefighting aircraft, facilities, equipment, and supplies for aerial firefighting, and retrofit, maintain, staff, and support the firefighting aircraft or contract for the provision of those services. The federal government has been studying its air tanker problem for a decade, but it isn’t getting more planes in the air, Kern said. And the planes that are in service are old. 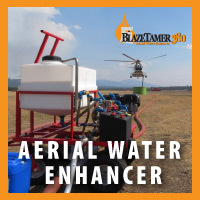 Kern thinks federal failures create an opportunity for Colorado to position itself as an international hub for aerial firefighting technology. “We can fly a smart bomb through Kim Jong-Il’s window, but we’re still throwing slurry down from 1950s technology into the wind over fires when our own citizens are at risk,” he said. If you have several hours to kill, you can peruse the seven air tanker studies the federal government has commissioned and paid for since 1995. And if those are not enough for you, an eighth one, the AVID study, was completed at the end of 2012. We are waiting with bated breath for it to be released by the USFS.